Well built, practical and fun to drive, the Fiat Stilo is a car worth having on your shortlist if you're searching for your next family hatch. Available as either a three or five-door, the Fiat Stilo sits in the same class as top-selling vehicles like the Volkswagen Golf and the Ford Focus. 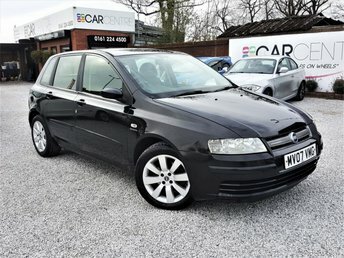 The Car Centre is the best place to start your search for a used Fiat Stilo in Manchester. We're a leading supplier of quality used cars and have years of experience matching drivers with vehicles that fit their budget and lifestyle. Take a closer look at our complete stock online before contacting the showroom to arrange a test drive.